Personality and soul is brought into each Campomaggi bag due to its commitment to craftsmanship and handwork. Each handbag is hand finished and distressed that gives them their unique and vintage look. This process has become the Campomaggi focus of creating a utilitarian bag that aesthetically evokes emotion, soul, and memories of time past. 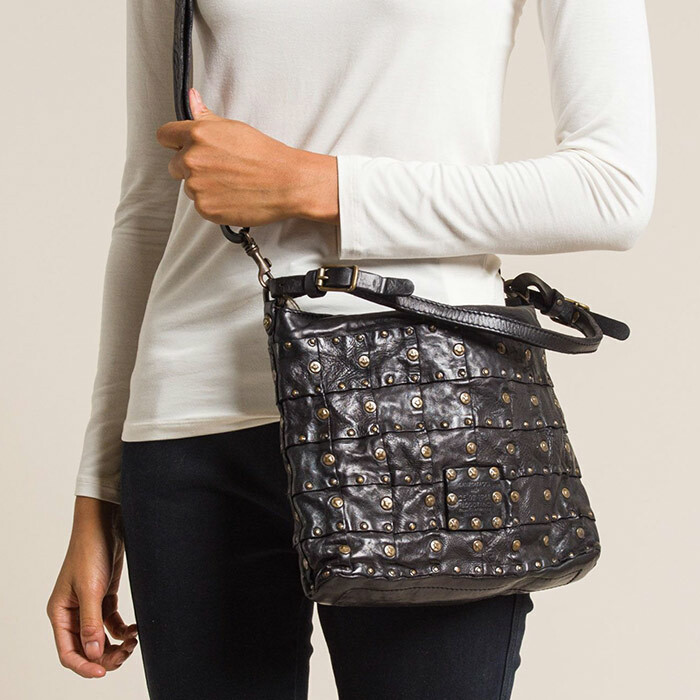 The recent shipment of Campomaggi has a range of large shoulder purses to small crossbody bags. The largest is a red cowhide shoulder bag that is finished with a hand painted and studded mask motif. Others from the collection have square patches or the natural texture of the leather made into shoulder or crossbody bags.